Cura has support structure (see picture), but UM3 does not print it. I have both extruders on with Extruder 2 as the support. The base is printed (in PVA) but no other support structure is printed. I had a similar problem with another print where the support was printed for about 75% of the layers. The top layers did not have support event though Cura showed it. Why is this happening? Am I missing something? Do you have an image of how it looks when it didn't print? 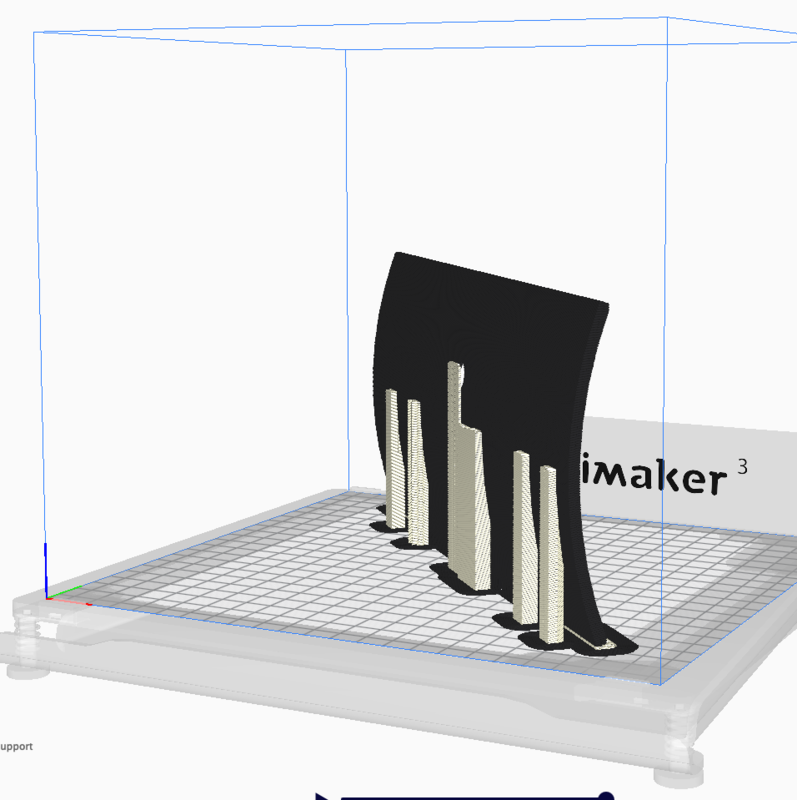 My best bet is that it's trying to print the PVA, but it has a blocked nozzle. Yes. That is exactly what is happening. This is my second print with the UM3. Very surprised that the nozzle would block as this is a brand new printer using UM PVA!